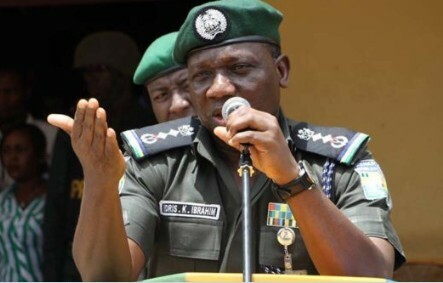 A Mobile Policeman at a checkpoint in Pai, Munya local government area of Niger state shot a man on his leg for interfering on a bribery of N50. According to the member representing Munya Constituency at the Niger state House of Assembly, Honorable John Paul Bahago, the Mobile Policeman had demanded a bribery of N50 from a farmer who was on his motorcycle on his way to the farm but the farmer refused to give him. He said the refusal to give the N50 bribe gave rise to a quarrel while another villager tried to intervene into the issue. Bahago said that after the matter was resolved and the farmer had left, the Mobile Policeman went to the house of the villager who interfered and shot him on the leg. Bahago who spoke after moving a motion at the plenary of the Assembly stated that this incident has resulted into a serious clash between the mobile policemen and the community lamenting that the police who are charged with the responsibility of ensuring the security of life and property of the people are themselves the people causing insecurity. The Legislator called on the state government and the Commissioner of Police to investigate on the negative activities of the security men posted to the areas.